Where can i fine what type and size sail i would need for 15' flat bottom skiff. Also how big a center borad or lee borad. I'm sure there is imformation on this some where on the internet or a book with not to much technical math etc. I sure hope someone can help. Thank you and happy boating. 15ft skiffs may be heavy or light, depending on the design. I'd look at a successful similar design in terms of size and displacement and use that boat's sail plan as a guide. Hi Gavin, Yes I think that would be the way to go. I'll by a plan and use the sail design from it. It would be the safest and a way with less headaches in the end. Thanks for your advice. Art – without seeing the boat or what you're putting on it, I'd think that would be the best way to go. But as I say sail geometry is important – you may find you need to move the mast forward or aft to get the boat to sail well. With reference to the picture above, I’ve never seen a topsail on the mizzen of a yawl. Surely it’s natural home is above the main? 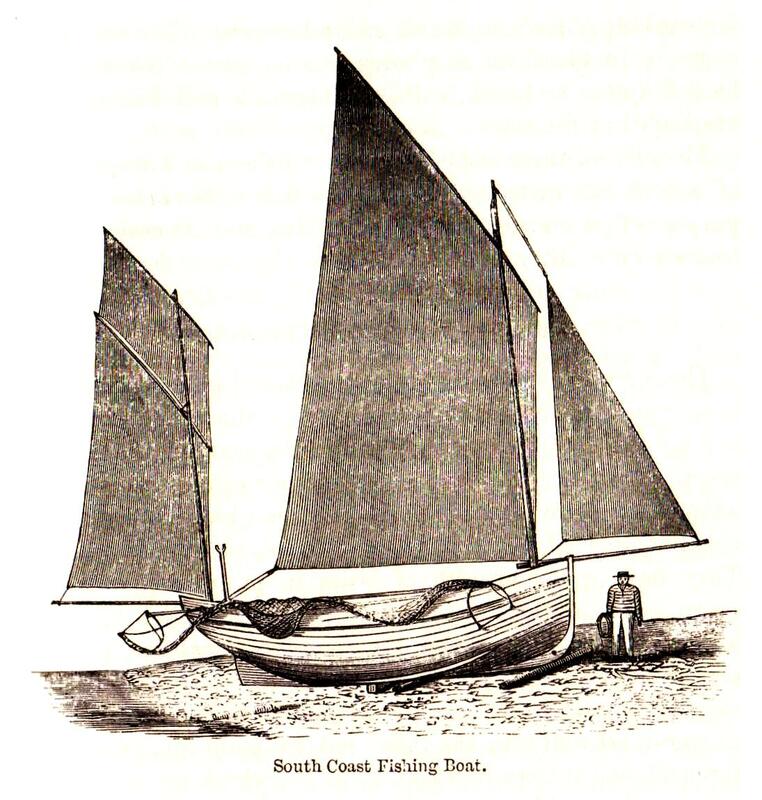 What benefit does a mizzen topsail bring in a yawl (or ketch) rig? I have not sailed a boat rigged exactly this way, but I’d make two observations. The first is that the sail area on the mizzen is relatively large, and so some means of receiving sail area makes sense. Folks might reef, but these folks put two sails on one mast. I’d also say that given the large area on the mizzen will enable the boat to heave-to easily with all sails (or a reduced area) set, which I think is likely to be convenient when working pots etc.